The joke about Australia is that it was founded by a bunch of criminals. And from 1788 until 1868, Britain did send roughly 164,000 convicts to the land down under. America’s dirty little secret? The same exact thing was happening here. In fact, experts estimate that over 52,000 British prisoners were shipped off to colonial America. Britain had been shipping convicts to America for decades before they started sending them to Australia. In fact, it was precisely because of America’s fight for independence that the Brits had to start sending their criminals to Australia. But from 1718 until 1775, convict transportation to the American colonies flourished. Some estimates claim that almost 10 percent of migrants to America during this time were British convicts. Many Australians have more or less embraced their convict history. But if you’re an American who had no idea that your country’s founding included a huge prison population, you’re not alone. Historically, Americans have not been too keen on discussing the fact that convicts came to what would eventually become known as the United States. Through the 19th century, most historians simply ignored the institution, and those who did recognize it usually claimed that nearly all of the people who were transported were political prisoners. The Malefactors sent to America were not sufficient in number to merit enumeration as one class out of three which peopled America. It was at a late period of their history that the practice began. I have no book by me which enables me to point out the date of its commencement. But I do not think the whole number sent would amount to 2000 and being principally men eaten up with disease, they married seldom and propagated little. I do not suppose that themselves and their descendants are at present four thousand, which is little more than one thousandth part of the whole inhabitants. Except that this wasn’t true. British convicts came over in droves, and free Americans weren’t too happy about it. In fact, even before the Transportation Act of 1718 really opened the doors for Britain’s dumping of undesirables in America, some colonies tried to pass laws that would prohibit the practice. In 1670 authorities in Virginia passed an act that prohibited convicts from being sent to the area. This, unsurprisingly, was overruled by the king. Planters both in the West Indies and in Virginia, which was reckoned a part of them far on in the eighteenth century, needed laborers, and welcomed a supply from whatever quarter. [...] As Virginia’s staple was tobacco, it naturally became a centre of white as well as black servitude, whether its victims were indented or not, and criminal or not. Americans have rather romantic ideas about how their country was founded. We’ve long been fond of the mythology surrounding persecuted people freely traveling to the New World and building the greatest country on Earth. But, like all history, it’s much, much messier than that. Our history includes plenty of genocide, slavery, and just a dash of prison folk — and the latter may be news to many Americans who wouldn’t hesitate to make jokes about Australia being populated by the descendants of criminals. But Australia really wasn’t special in that regard. 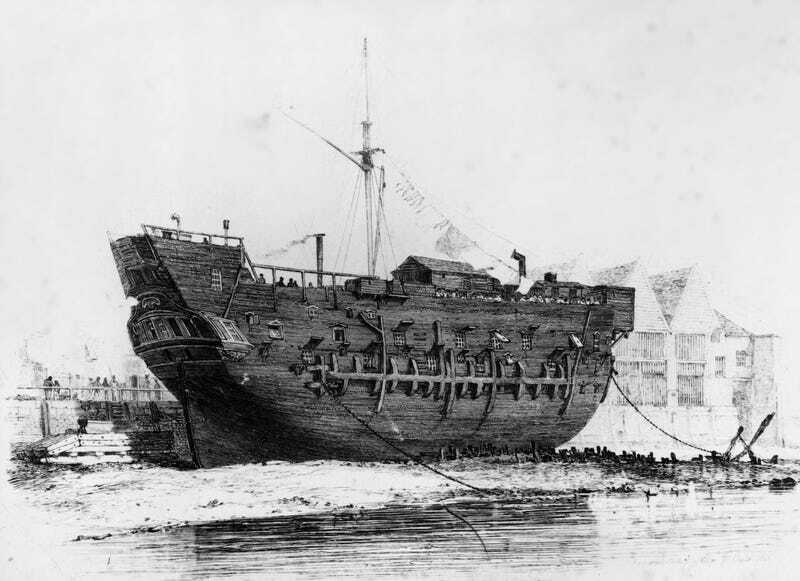 Shipping criminals halfway around the world was part of America’s sordid history, too.